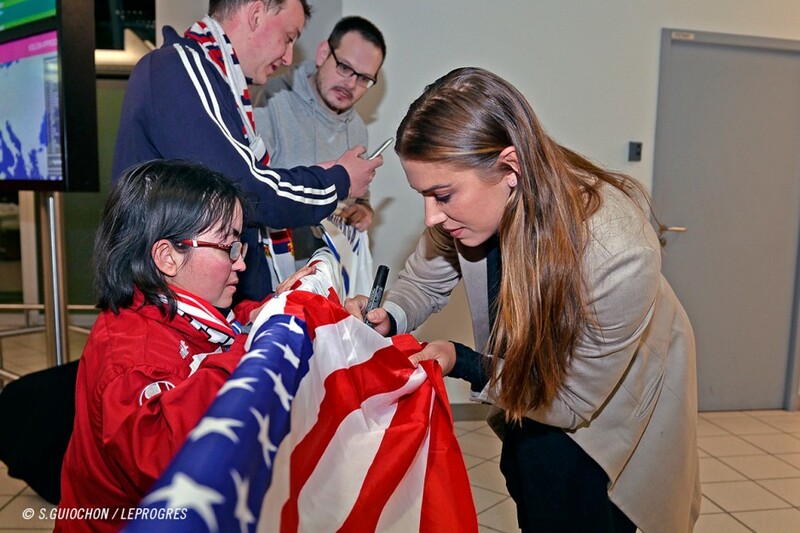 OL WOMEN: WHO ARE YOU, ALEX MORGAN? OL Women have had a huge win on the transfer market with the signing of American superstar Alex Morgan to its squad. Find out about her. After having conquered the world with the USA national team, Alex Morgan is set to conquer France and the European continent with OL Women. The 27-year-old player, who counts a World Cup as well as a gold medal at the London Olympics among her achievements, is set to play in the colours of Lyon, champions of Europe, for the next six months with the option of a year's extension. The American international, in the same way as OL is, is one of the the highest-profile representatives of women's football in the world. She has 120 caps with the USA, from which she has scored 73 goals, along with her 67 matches, 24 goals and two titles in the colours of Western New York Flash, the Seattle Sounders, the Portland Thorns and Orlando Pride, where she was the first-choice draft pick of 2011. All of which makes her a cross-Atlantic superstar. America: a continent that OL is opening up to. But Alex Morgan isn't just an athlete like no other. Apart from her sporting achievements, she has a degree in political economy, which she obtained one semester early at the University of Berkerley, one of the best in the USA. She is also the author of a children's book, The Kicks, a tale about the world of women's football. The San Dimas (California) native is also a UNICEF Ambassador and she has advertising contracts with some of the biggest brand names in the world. Through her triumphs, Alex Morgan has become a veritable icon in women's football. She looked a good match for OL and the deal came to pass a few days ago. It's made an alliance that presages a bright future for Lyon. OL are a team known the world over for their excellence, with a squad that comprises several of the best players on the planet. They're a club who have committed to helping women's football to grow and who offer their players top-notch facilitiesand unprecedented training facilities. They have everything you need for an environment that breeds success. I have high-level objectives. I want to be the best player in the USA... and the best player in the world.